Here is a list of every major commercial software program I have worked on over the years. Except for Land of Legends, all of these products were available on the market. A few are still available. This list is followed by two smaller lists at the bottom of the page detailing my shareware and unpublished work. This list does not include "vertical-market" applications I have designed/programmed, as these are not directly available to the public. This list is sorted by most recent. "Flying Logic is a revolutionary tool for proactive thinkers, whether you want to change your personal life for the better, or grow a world-class business that impacts thousands or millions of people. 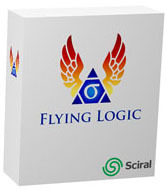 Flying Logic is a highly visual, easy to use software application that does for reasoning what spreadsheets do for numbers. Just as you would not do detailed financial projections in your head, you need Flying Logic for all nontrivial planning and reasoning endeavors. Project management software won’t help you when you have no idea what part of a complex system needs improvement, or what that improvement might look like, or how to cause that improvement. Answering these questions is a critical and often-overlooked part of the planning process, and this is where Flying Logic shines. Flying Logic diagrams are not static images— they are working models of your reasoning that you test as you build and that stay live as you share your reasoning with others." I continue to do development on this application, so it will remain at the top of this list! El Loco is a translation service that can localize iOS applications. 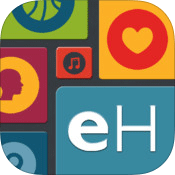 As a contractor I was involved in the creation of eHarmony's iOS app. I did some contracting work for GoPets, a virtual pet community game. My most visible example of contribution to GoPets is the code that mixes all the fur textures and colors into a final pelt for the cats and dogs. I spent the summer and autumn of 2004 developing a game prototype at EALA. 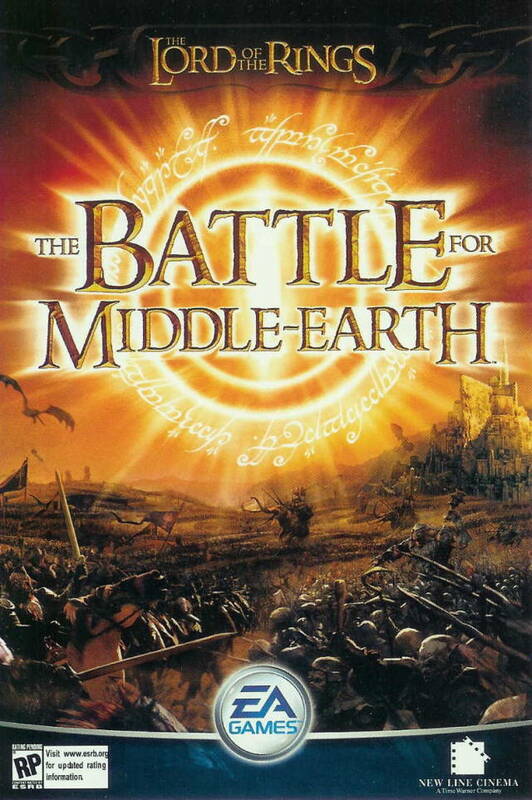 Late in the project I was "borrowed" by The Battle for Middle-Earth team to make some optimizations to the game's pathfinding algoritm. 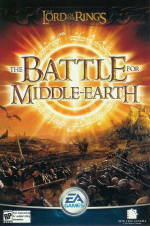 The prototype code was eventually used as the basis for porting The Battle for Middle-Earth II to the XBOX 360. This was a project I worked on at Taldren. We successfully worked with the publisher to launch this popular massively-multiplayer online role-playing game to the Korean market. I don't know what the status of the game is right now. Another of my side projects. I ported this Mac OS X task management application to Windows. Well, this is a change of pace! The Brodia Shopping Serivce was an Internet-only e-commerce product. My initial contribution was getting the software to function properly in Internet Explorer 4.0, but later I became lead programmer and then technical director for the company's digital wallet product. 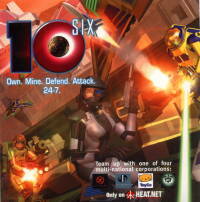 I actually worked on this online multiplayer game twice. Early on I provided the team an HTML-based menu system, while later I was brought in to work on the server code. The game was originally available on Segasoft's Heat gaming network. After Heat was shutdown, Conundrum Studios picked up the game where it is currently playable. This art to the left is from the cover-slip of a CD given out at a Game Developers Conference. This game incorporates an HTML-based menu system that I designed for another game being developed at PostLinear Entertainment. My contribution as a programmer was a new, improved resource manager. Most of the design I did for the project was excised when the island of Iona was removed from the game, but I was responcible for the design of the introduction. The box cover art seen here was created by Greg & Jim Hildebrandt. 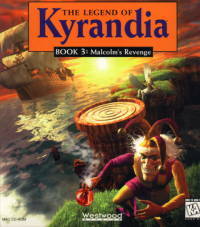 After doing the port of The Legend of Kyrandia (Book 1) Westwood Studios inquired if the Dreamers Guild would do the port for Malcolm's Revenge (Book 3). We agreed and was able to use some of the code from the previous port. I would like to thank Tim Lowery and Dave Howell for their work on the project. 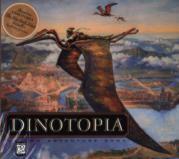 The box cover art seen here was created by James Gurney, author of the Dinotopia books. 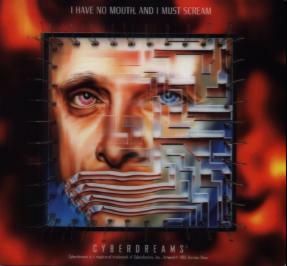 This game was based on the short story by Harlan Ellison. (The face in the image on the left looks kind of like Harlan.) Cyberdreams did the design, the Dreamers Guild did the coding and artwork. My contribution as a programmer was just the reuse of my code from Inherit the Earth. The image here is from the mouse pad that came with the game, the face of which is visible through a hole in the box cover. 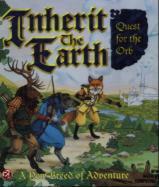 This was the only Internet-only game that The Dreamers Guild finished and was available for play on-line. Unfortunately, the game turned out to have some serious flaws that only became apparent after a number of weeks of continuous play. At that point the game was taken off-line. I'm not sure what its current status is at MPG-Net. This game never had a retail release, so there is no box cover art to show. 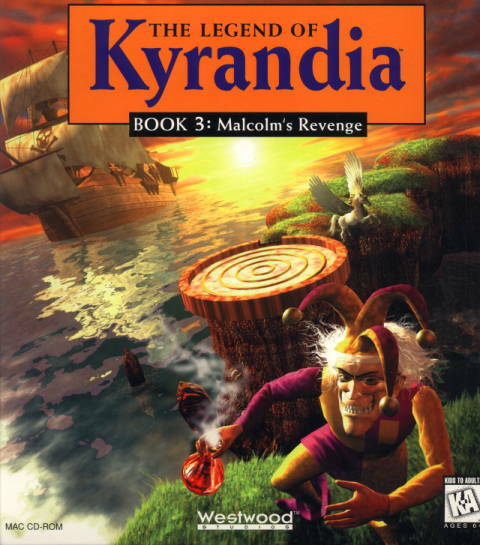 Publisher: Electronic Arts, then The Wyrmkeep Entertainment Co. This is an interesting case. 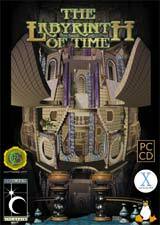 In 1992 I licensed to Terra Nova Development some routines that were incorporated into the Amiga version of this CD-ROM adventure game. Later, Terra Nova contracted The Dreamers Guild to port the game to the Macintosh. Since I was the knowledgable in both the Amiga and Macintosh, I did the programming. This game has now been released for Windows, Mac OS X, Linux and iOS by The Wyrmkeep Entertainment Co. 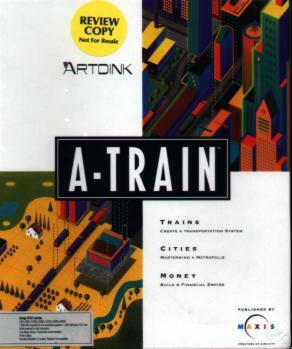 The top image is from the cover art of the Electronic Arts release. 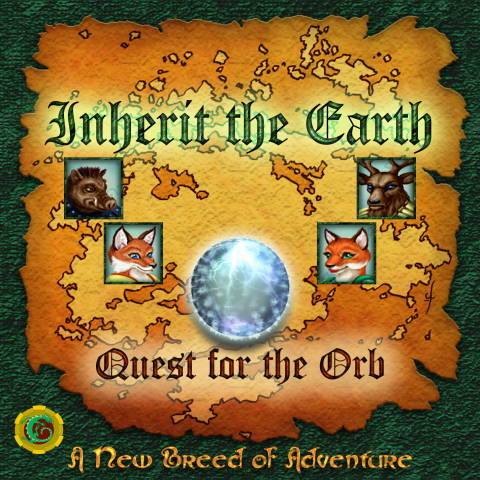 The bottom image is from the cover art of The Wyrmkeep Entertainment Co. release and was created by Bradley W. Schenck, the game's original designer and illustrator. I wrote or upgraded some of the utilities that shipped with Music-X 2.0. Publisher: New World Computing, then The Wyrmkeep Entertainment Co. Developer: The Dreamers Guild, The Wyrmkeep Entertainment Co. I and Robert McNally were the ones who thought-up the basic concept of this game, but my design involvement beyond that was very minor. I wrote the resource manager that was used in the game. 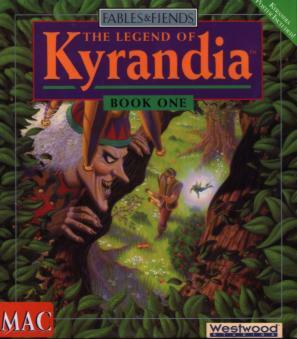 The Macintosh port used the pixel-doubling code I had written for the port of The Legend of Kyrandia. 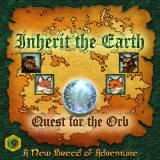 This game has now been released for Windows, Mac OS X and Linux by The Wyrmkeep Entertainment Co. 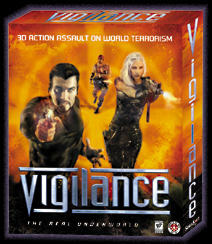 The upper picture is the box cover art from the original release and was created by Alicia Austin. The lower picture is the cover art for the Windows release and was created by Carolly Hauksdottir. A final note: a German version for the Amiga and DOS was released by Softgold, but I had nothing to do with those versions. Publisher: Mallard, then Mindscape/Software Toolworks, then The Wyrmkeep Entertainment Co.
Fast Action Paq was a set of four "retro games" based on fondly remembered titles from the 1980's. The product was originally published by Mallard, but they went out of business a few months later. 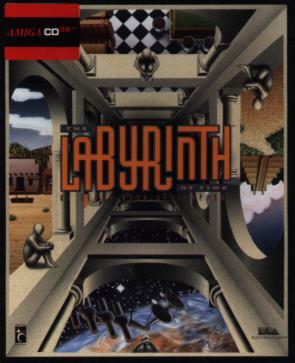 The rights reverted back to the Dreamers Guild, and the games were re-licensed to Software Toolworks to be bundled with a floppy release of Chessmaster 2000 (as Mindscape Game Pak). These games have now been re-re-released as Retro-Action Paq by The Wyrmkeep Entertainment Co.
Mole's Quest has been ported to the iPhone. I did some minor programming on this project. I programmed the port of this game from DOS to the Macintosh with a little help from Joe Burks and a useful pixel-doubling trick suggested by Leo Schwab. 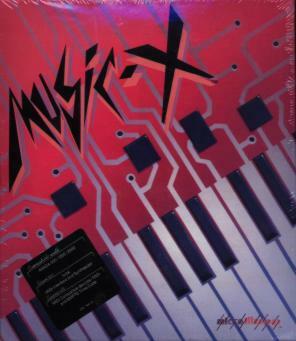 I was also involved in creating digital intruments needed to port the music to the Macintosh. 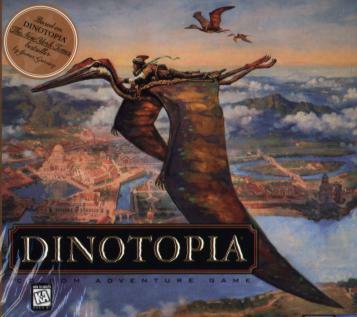 This was The Dreamers Guild's first original game. More Vegas Games was a set of multiplayer casino games. 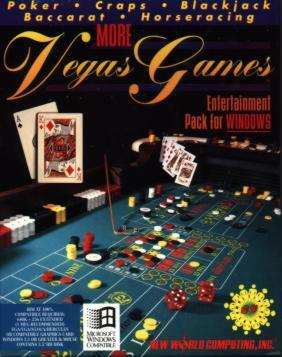 (Vegas Games was an earlier product published by New World Computing that contained single-player casino games.) Most of the coding was done by Robert Wiggins, with some very high-level and low-level code provided by me. I digitized the sound effects and voice-overs used in the game. The voice artists were Robert Wiggins and Allison Hershey. This is the first project I was involved with where I was not primarily a programmer. Although I did contribute some very high-level and low-level code, I mainly managed the programmers who were actually porting the game from DOS to the Amiga and the Macintosh. I ported this game from the Macintosh to the Amiga. 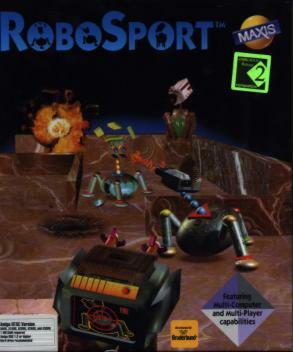 I believe Robosport was the first commercial Amiga game that supported play over TCP/IP networks. This was my first project as part of The Dreamers Guild, a software development company I co-founded along with a group of other talented programmers, artists, etc. The real-time sync library is a standard components of AmigaDOS 3.1. 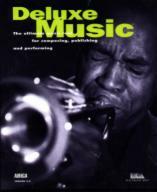 The MIDI library works with the real-time sync library and was available for distribution with music products. These two controls are standard components that ship with AmigaDOS 3.0 and later. This project began as a configurable installer for Music-X version 1.1. When Commodore learned about it, they asked if Sylvan Technical Arts was interested in expanding it into a general purpose installer that other programs could use. Talin (the owner of Sylvan Technical Arts) agreed and was contracted to create what became the standard Amiga installation utility. I worked as a sub-contractor on the project. The Installer is still available for use by Amiga software publishers. Because of the delays in the release of earlier programs I worked on, this game turned out to be my first published title. It was also done on time. 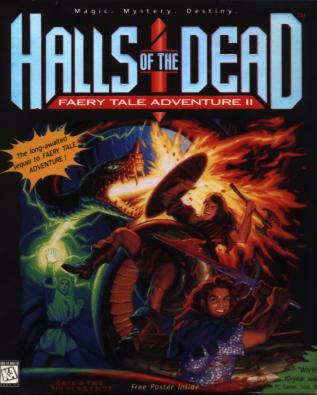 I really enjoyed created the Sega Genesis version of this wildly popular Amiga adventure game. The box cover art seen here was created by Ed Kline. The logo was designed by Ernie Potvin. 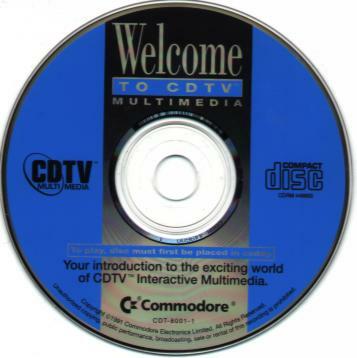 Commodore contracted with Sylvan Technical Arts to create a tutorial disc to ship with CDTV, Commodore's attempt as a CD-ROM-based consumer entertainment console. I was contracted to help program the scripting engine that ran the tutorial. Since the CDTV player was not released until late 1991, this project also doesn't qualify as my first published title! Seen here is a scan of the actual CD-ROM. 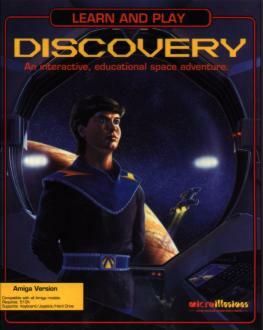 After Land of Legends was cancelled, I agreed to design and program an update to the edutainment title Discovery. The original program was created by my frend Talin and was developed with his assistance through his company Sylvan Technical Arts. 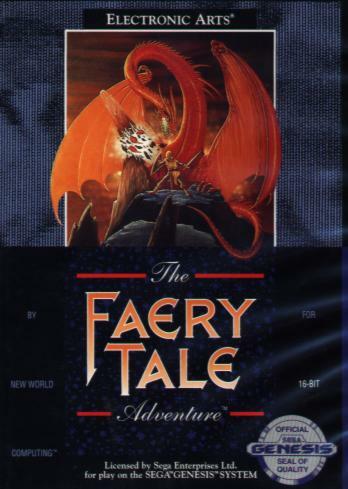 MicroIllusions did not release the product until 8 months after I finished it, so it was not my first published title (see The Faery Tale Adventure above). The box cover art seen here was created by Stu Shepard. This is the only unpublished program listed in this section. 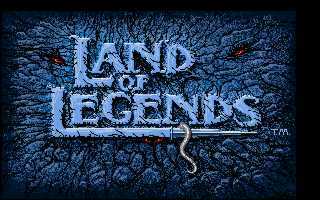 Land of Legends would have been my first commercial program AND my first program on the Amiga AND my first C language program AND a huge epic role-playing game AND... Well, you get the point. This was way too ambitious for a first endeavor, but no one involved at MicroIllusions saw the project as overambitious. After 2+ years of work on the program, the project was cancelled. Just as well -- the game would have been caught in the bankruptcy of Mediagenic (the distributor and former parent company of Activision), and it is unlikely I would have ever seen a dime in royalties. 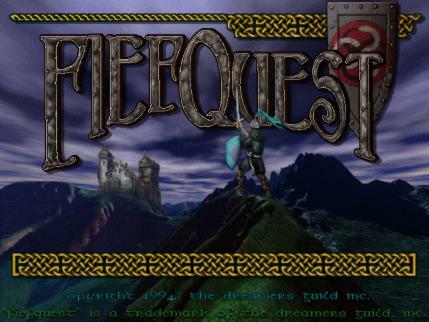 The title screen seen here was created by Ed Kline. Blackhole Program that places a "trash can" icon on the Workbench. Deletes files and drawers dropped on the icon. Input Handler A set of drivers that allowed one Amiga to send its keyboard input and mouse movements to another Amiga. Turned out to be really useful with the CDTV player. European Racers I helped program this unfinished Sega CD title the the Dreamers Guild was porting from the PC. Online Baseball This was an original on-line game from the Dreamers Guild. I was involved in design and programming.